Dometic are one of the foremost brands in the marine industry, supplying a comprehensive range of systems and equipment for leisure vessels. A combination of innovative design and the highest standards of quality ensure that Dometic Group products exceed the expectations of even the most discerning boat owner. Dometic marine equipment and systems can be found onboard a diverse range of craft of all sizes, from weekend pleasure vessels to super yachts. 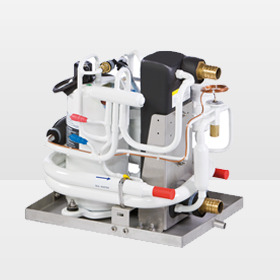 Crusair were one of the first companies to develop air-conditioning for the pleasure vessel industry in the 1960's and to this day continue to be an innovator with research and development remaining an important part of the business.